Admire the unforgettable sights of Boston on board this breathtaking climate controlled yacht. This cruise offers the most unique brunch setting on Boston's famous harbor. Relax and be captivated by the city skyline while enjoying a delectable buffet brunch menu. 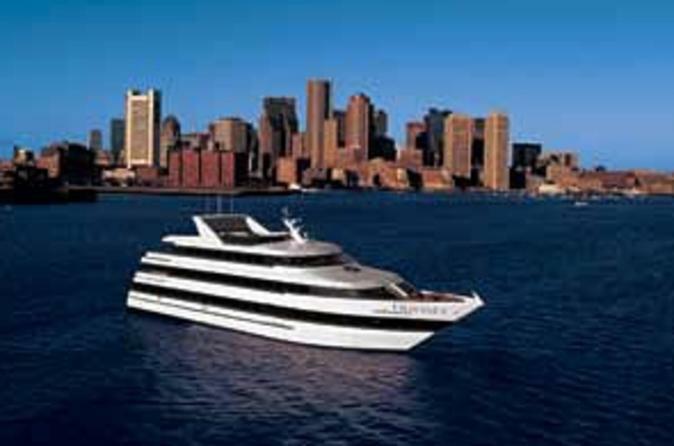 Your cruise experience begins as you board our luxury yacht at Rowes Wharf. Make sure to bring your appetite on board because when you arrive to your private table, the Executive Chef and galley staff present you with a gourmet buffet of appetizers, salads, entrees, and desserts! From start to finish, enjoy on-board musical entertainment. Sit back and relax with your group, or get up and dance! Whatever your style, we'll have it waiting for you on board thanks to our awesome on board DJs! Departing from Rowes Wharf, it cruises along Historic Boston Harbor from Castle Island to George's Island, then east to the Boston Light on Little Brewster Island, and back north to Charlestown Naval Yard before returning to the Wharf. Cruise Route may vary depending on weather.